Olympia Auto Mall - Washington's Largest Selection of New and Used Cars: Car Bras – Are You Covered? A car bra is a covering for the front of your vehicle designed to protect the nose of your hood, front bumper, and areas around the grill and front fender. The front of the car is the place that usually takes the biggest beating from the elements over time. Rocks, bugs, the elements, and everything else that we manage to run into can damage your car’s front end decreasing its resale value along with its visual appeal. Car bras are usually black. 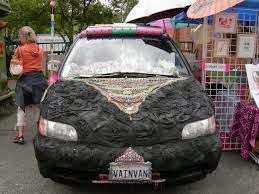 However, you can custom order bras that can match the color of the vehicle. Some bras are even clear adhesive strips, serving the same type of protection as the screen cover on your smart phone. Many people like this option as it protects the front end of the car while not detracting or significantly changing the overall look of your car. Most manufacturers offer car bras which can be ordered through our service department. If you would like to learn more about car bras to see if enhancing your vehicle with one is right for you, give us a call or visit our showrooms. For the best new and used cars Tacoma Wa has to offer, come to the Olympia Auto Mall. We’re here to help.